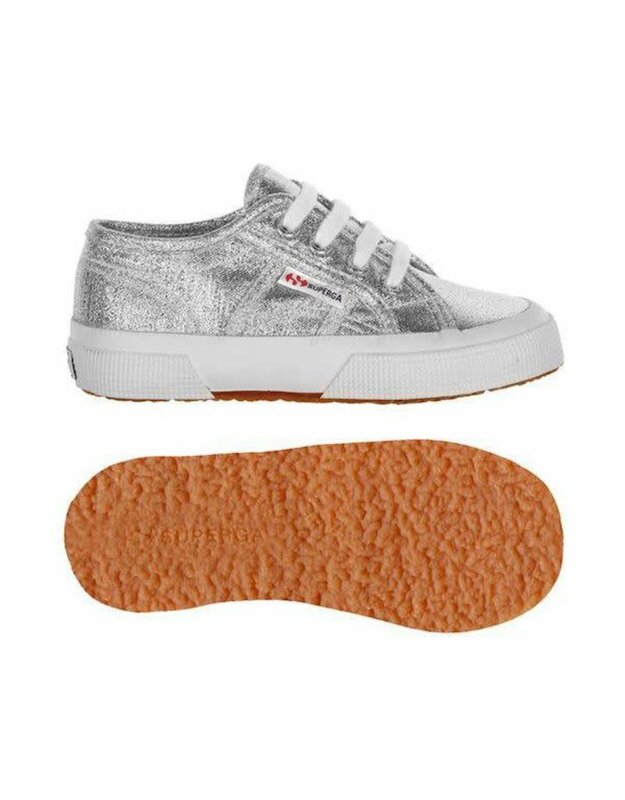 Sparkly Superga 2750 for kids. Lamé fabric upper with cotton lining and vulcanized natural rubber sole. Available in silver, gold and rose platinum.